This website is dedicated to studying the practical application of the writings of W.D. Gann. Like many profound thinkers, his works can be read on more than one level. 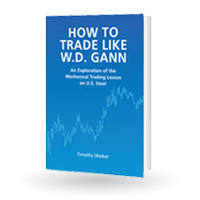 The more esoteric aspects of Gann’s writings have beguiled traders for decades, but many lose sight of the many simple and practical rules he developed which can be used to make money in the markets. It is this practical aspect that we will follow here. The first project is to make W.D. 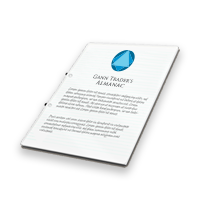 Gann’s original works more accessible to the modern reader. I hope you find it enjoyable, enlightening and profitable. 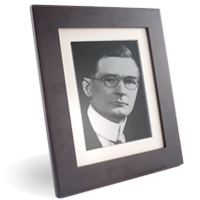 William Delbert Gann traded in New York and Chicago from 1902 to 1955. During that period he wrote extensively of his methods of forecasting and analysing markets, and taught his techniques to others. But after his death he left no ‘successor’ and his writings fell into obscurity. 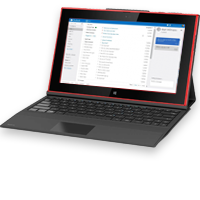 To purchase How to Trade Like W.D. Gann or subscribe to The Gann Trader’s Almanac weekly newsletter or to leave a comment, please complete the online contact query form.